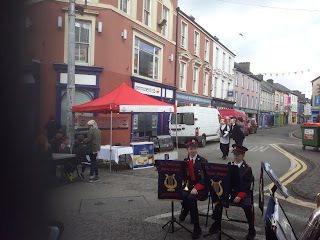 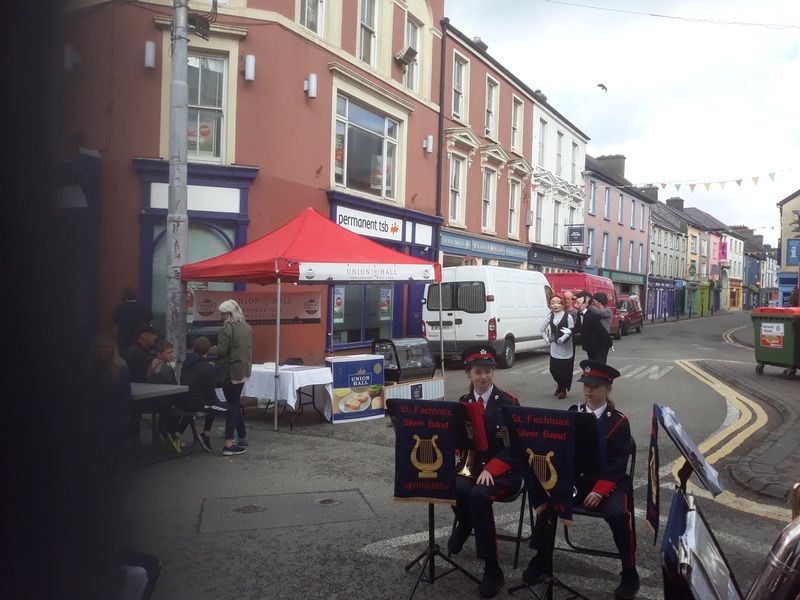 A fantastic weekend of brass band music supporting the Skibbereen Food Festival at the weekend. 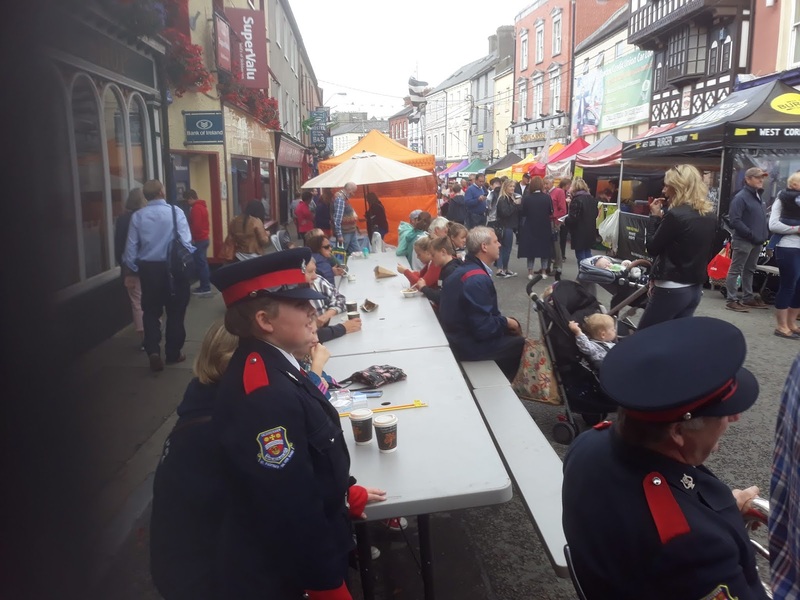 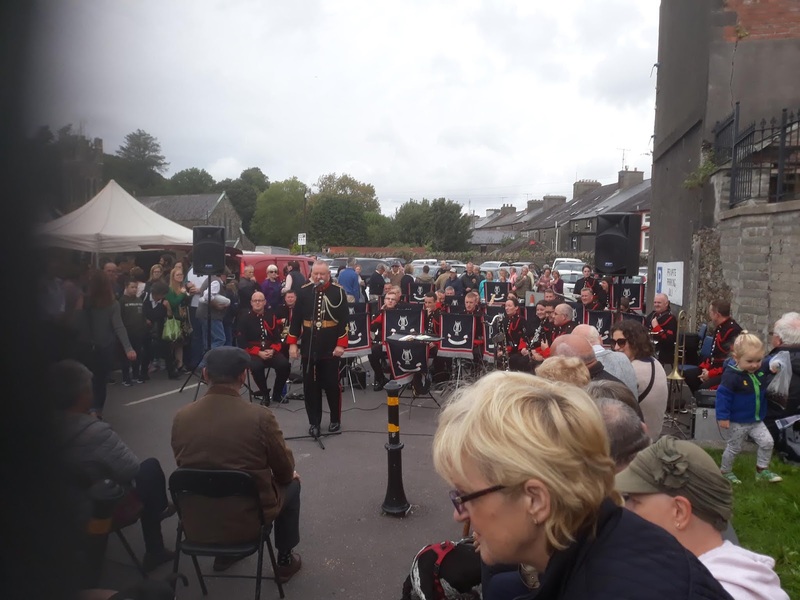 The Army Band was down from Cork on Saturday and played in the town market and then we played the Sunday to support the final day street festival. 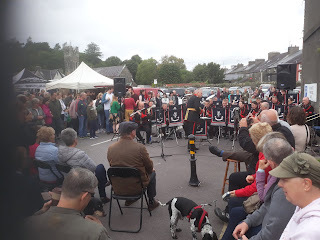 The weather held and the crowds were enjoying the music and food alike, there was even a surprise appearance from couple of puppets. Some pictures from the day.